CARI’s 75th Annual Convention got off to an exciting start this year. Unexpectedly, a large sinkhole opened up just around the corner from our convention venue, the Westin Ottawa, just a day before delegates were set to arrive. Though the infrastructure incident made an impact on the city’s downtown core, event attendees and exhibitors were able to partake in our full program of activities over the course of the weekend. Networking activities included three separate cocktail receptions, a golf outing, and our diamond anniversary celebrations. Many of CARI’s former presidents, board members, new members, insurance and consulting professionals, CARI staff and industry representatives from the United States and across Canada travelled to Ottawa for our event. 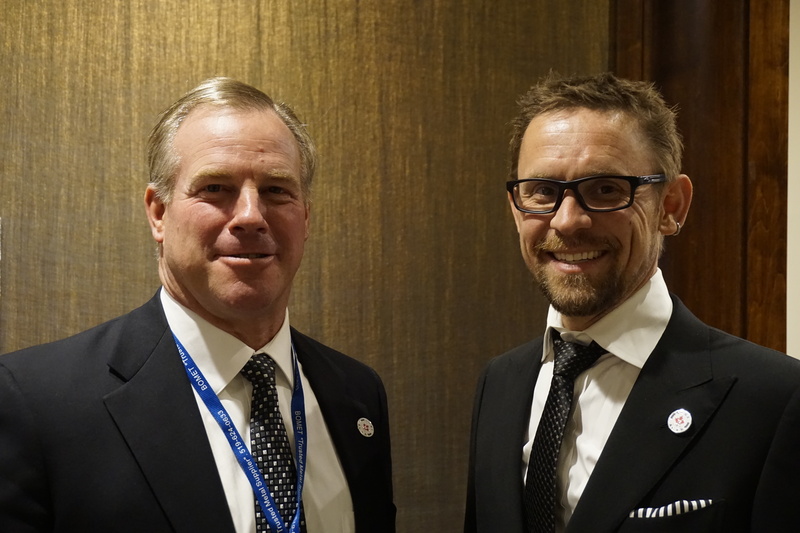 Representatives from the Institute of Scrap Recycling Industries (ISRI) were also in attendance, including Chair, Mark Lewon, and Chair-Elect, Brian Shine. General Rick Hillier, former Chief of the Defense Staff for the Canadian Forces, gave a captivating and memorable keynote address on leadership. His humorous and compassionate talk resonated with attendees. Economy panellists Becky Hites and Heather Douglas provided insight on how the global steel market and the geopolitics of oil both affect the scrap industry, with many attendees participating in a lively Q&A session following their presentations. Our second panel session focussed on industry concerns. Panellists presented an overview of the markets and detailed analysis of key commodities. Joseph Pickard, Chief Economist and Director of Commodities at ISRI, gave a general market overview and an analysis of copper. Jean Simard, President & CEO of the Aluminum Association of Canada talked about the Canadian and global aluminum markets. Jean also explained how aluminum could be affected by green initiatives in the years to come. Owner of Aaristic Services Inc., John Harris was our last panellist. John presented a detailed analysis of the global steel market, with an emphasis on how Chinese production affects global demand for steel. 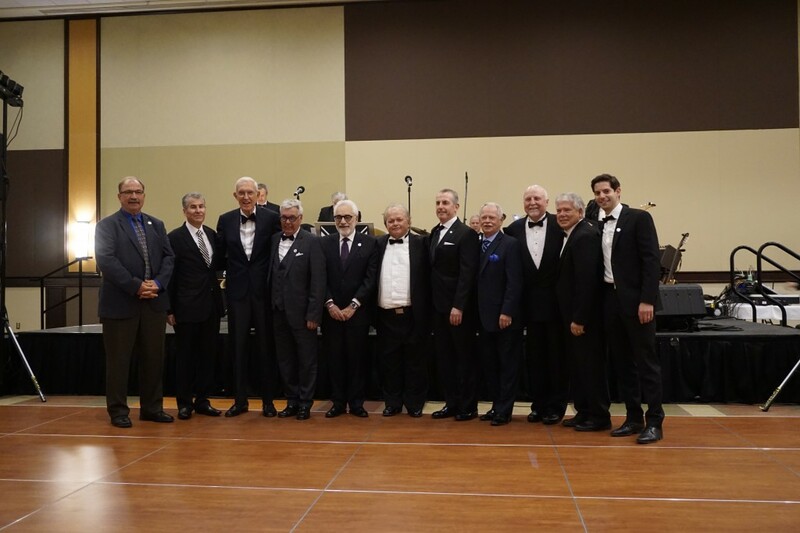 Our 75th Anniversary Gala Banquet brought together many of our past Chairs (or Presidents, as they were formally known) as we celebrated the strength of our industry, our history, and long-standing staff member contributions. Speeches from CARI’s president Tracy Shaw, and our new Chair, Dan Klufas of Federal Metals Inc., were followed by a wonderful meal, an acrobatic display, and quite a bit of dancing. Attendees enjoyed a final late night reception, complete with special guest Marilyn Munroe. We would like to thank our exhibitors, sponsors, speakers, and attendees. Our 75th Annual Convention was certainly a memorable event and we are looking forward to next year’s convention in Banff, Alberta. Industry Panel. 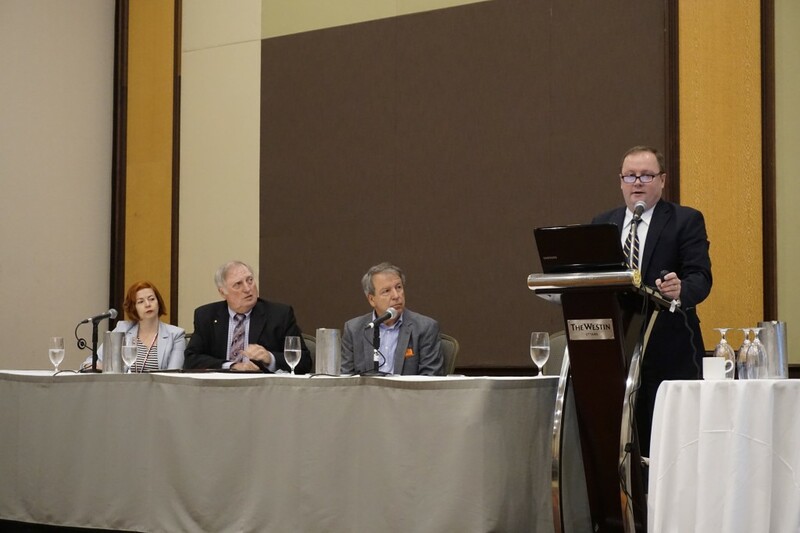 From left to right: Tracy Shaw, CARI President & CEO, John Harris, Owner of Aaristic Services Inc., Jean Simard, President & CEO of the Aluminum Association of Canada, and Joseph Pickard, Chief Economist and Director of Commodities at ISRI.